Earth Day is Saturday, April 22—just days away. 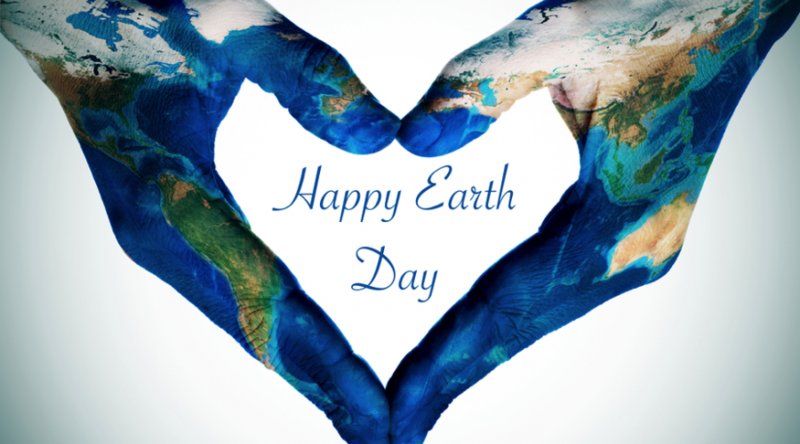 While most of us don’t officially celebrate Earth Day, the holiday is an ideal opportunity to provide kids a green example on how to live eco-consciously. Each year, Earth Day focuses on a new campaign on how to help the Earth. This year’s Earth Day campaign is Environmental & Climate Literacy. While global warming is a heated debate, every person may play a part in helping the environment to help prevent climate change. One day our kids will inherit the Earth, and we need to keep the environment as pristine as possible…and teach them to do the same. This Earth Day spend a day with kids helping them see and understand their environment and how little everyday actions can make a big impact on Mother Earth. Here are six activities to engage kids and help increase their environmental and climate literacy. Through photosynthesis, a tree absorbs carbon dioxide and release oxygen. Trees help remove carbon dioxide and other pollutants from our air, helping the climate. On Earth Day, give the air a boost by planting a favorite type of tree. Turn off the faucet when you’re brushing your teeth and be sure to fix dripping fixtures. Conserving water helps our environment by lowering the carbon emissions that affect the climate. Of course, using less water also means a lower water bill for parents! Go meatless on Earth Day, and try to limit meat intake thereafter. According to the Earth Day web site “the meat industry is responsible for approximately 20% of the world’s greenhouse gas emissions.” To really make an impact, join the Earth Day movement of eating meat only once each week. Some families have ponds in their neighborhood or backyard. These still areas of water also ideal for green planting. Water plants and foliage help protect fish and other water life from predators. Aquatic plants also nurture the environment through photosynthesis. Never plant aquatic plants that might be considered an invasive species! Keep the car in the garage. On Earth Day, give the air a break from gas emissions by biking or walking with kids. Many areas across the country even host biking events on Earth Day to encourage drivers to hang up their keys. Be sure to investigate biking activities in your communities! If your family doesn’t recycle, Earth Day is the day to begin! Take kids to a local home improvement store and buy bins to use to sort glass, plastics and cans for recycling. Recycling helps once used items get a new life, which is great for reducing landfills and helping the environment. Also be sure to pick up reusable water bottles. Washing and reusing water bottles saves waste from disposable plastic bottles. While glass bottles are idea, for kids you can opt for BPA-free plastic bottles. Let them choose their favorite characters and designs! 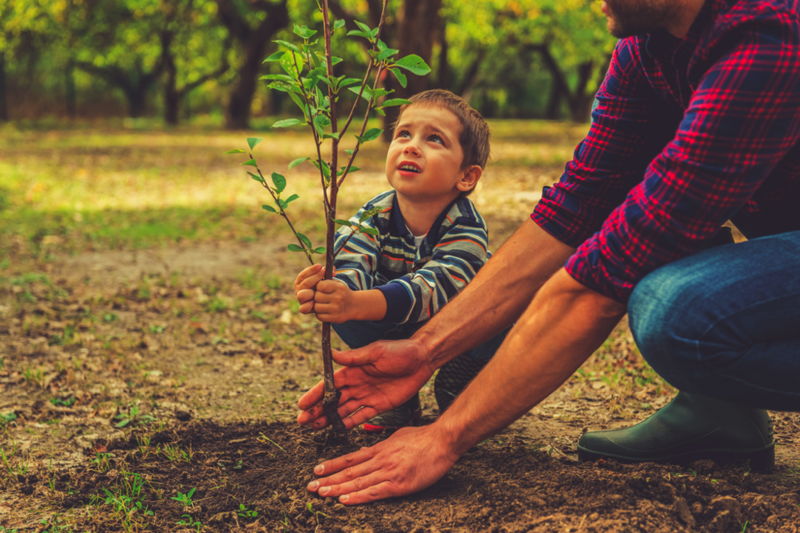 While preserving the Earth should be a conscious effort every day of the year, use the holiday to formally introduce kids to conservation and eco-living. If we can make a few small changes today, our tomorrows will be a whole lot brighter…and our planet will thrive for generations to come.